I was born in La Chaud-de-Fonds, I was raised in La Chaux-de-Fonds, then I studied in Neuchâtel close to my hometown, French Literature. But, it is said in La Chaux-de-Fonds in every house you have one watchmaker, so I lived with this since I was a child. My late-father was working in this industry, my grandfather was a watchmaker so I’ve been nurtured with watches and stories and history since I was a child and I always loved watches. The reason why, I went to work in this industry as a journalist first and I’ve been freelance for 10 years based in La Chaud-de-Fonds and then I crossed to join Officine Panerai in Milan, then Vacheron Constantin in Geneva, and then Bulgari since 9 years now. （环球网时尚频道李晓丹）. We know you had been a senior reporter before joining BVLGARI, what are your views on the promotion of brand culture? What counts as an effective promotion?我们知道在加入宝格丽之前您是一位资深记者，您是如何看待传播对于品牌文化的发酵，什么是有效的传播? It’s an easy and difficult question. I would say it’s a difficult and easy answer. To promote a brand today requires first of all, it’s a key word for me, passion. You need to be passionate with those objects, which are so named or called watches, if you don’t have passion you can’t fight or promote your brand, your products. Me personally that’s my nature, I’m very passionate with watches, for me it’s always emotional to have a watch in your hands, I’m a guy, I’m a man of course men’s watches, but not only, when at Bulgari I touch a Serpenti high jewellery instantly I feel emotion because I love the products, I love what is behind the scenes, it’s a lot of work, it’s a lot of commitments, often we do not think about that, but such an object is the result of hundreds of hours of hard work craftsmanship, with a lot of people involved, we never see them, we see the product. I think always to the craftsman and craftswomen who work on such objects. Very difficult question, very difficult answer. But I’m back to the key words, first of all passion, if you don’t have that and anyone I know in this industry, once you join this business the watch industry, whatever you do, I mean working in a company or as a watch journalist as well you stick with that industry. Impossible to change, because it’s a very emotional world, it’s a very organic industry as well. It’s not like, working in a bank or in finance or you play with figures on an excel spreadsheet all day long, it’s very virtual all that. Watches are not virtual, it’s a real object, you can touch it, its full of discoveries and surprises always. Even for me after 25 years, almost, I still learn a lot of things about watches, how to craft, how to produce. The watch industry is always innovative, has to find new materials, new ways of producing, new technical things also, and it never stops. It’s not rigid, fixed in the past industry or object, it’s always moving, moving, moving ahead and it will never stop. The watch landscape has changed during the last decade and in more recent years. I would say regarding Bulgari that we don’t have a long history regarding watch production at Bulgari, we are only for watches forty years old, compared to many other high-end contenders and competitors which are 250 years old even more. Our youth is a very positive, beneficial, advantage, it’s a strength, because we are not old-fashioned, we are not classical. We can, thanks to that younger experience, we can be very free in terms of creation, as you know we are Italians, Italians are very keen on design, you heard about design in Italy, and with Italy every day in everything, its lighting, its furniture, its cars, its watches at Bulgari as well. Look at the Octo, it is said among the top editorialists worldwide today, to be the most contemporary watch you can find on the market. It’s set to be the 21st century cult watch, and it’s not Pascal Brandt saying that, it’s the others saying that, which is a very good recognition. So, regarding young Chinese consumers, you look for difference today, of course we at Bulgari we try to offer difference, and we try double to offer difference. Why? Because the watch market is full of brands, its full of products, they all say we are different, 95% it’s not true. They propose very classical, very often old-fashioned products, which are all the same, we at Bulgari we propose difference, through design because design is a key today. If you consider the Octo compared to all the other male watches, just to name one example. You will see that most of the others are round shapes and you will see also that Octo is totally different from all the others. So, I think today it’s the way to speak to young generations also, rather than to offer dusty, dusty classical products. I think Bulgari watches both for men and women, as I said previously, play on difference, we look for difference. So that’s the strength of our creations today, it’s being different its being connected to today’s world, and that’s it. It’s not easy, it’s easy to say, it’s difficult to achieve or to perform that when we create something. But so far when I see what we did at the last years at Bulgari the watch creations changed a lot for us, we are now perceived as a very hot, urban, contemporary brand, both for men and for women. 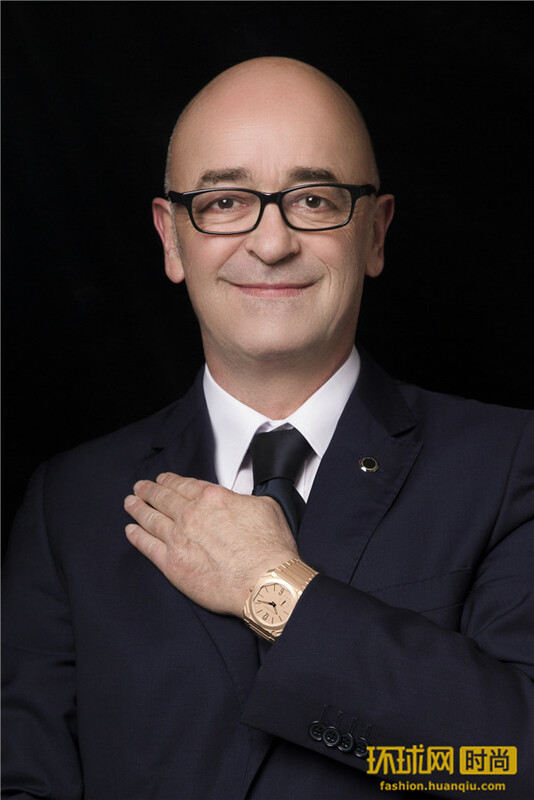 And this is the best recognition we can deserve, because it’s a lot of work for my colleagues at Bulgari watch division in Switzerland. The industry is changing and has changed. Twenty, twenty-five years ago buying a watch was aimed to know what time it is, this disappeared. The function of the watch is not today to know what time it is, we all have cell phones, one, two, maybe three in Italy, ladies especially. Now it’s not functional anymore the watch, the watch is just a piece of emotion, you love it you hate it, you want something that is your personality mirror, expression. So that’s why you buy a watch, or you are very knowledgeable and you look for something which is technically a collecting piece, a collector’s item, but you don’t want classical, old-fashioned collector’s items. You want a complication that is rooted into today’s world. For example, Octo Finissimo Minute Repeater in carbon, we launched this year. It’s typical of what I’m saying, it’s very Bulgari because its disruptive, it’s the combination between the ultimate traditional movement, the chiming watch minute repeating, with a super high-tech case and bracelet. This is Bulgari because Bulgari is the only brand doing that kind of thing, if you consider a traditional Swiss watch brand proposing a new minute repeater, it will be most often proposed in a round shape case and in platinum or gold, so nothing new. Even if I pay tribute to those brands, for sure. But ours is totally disruptive in this landscape and we try to do things that are disruptive. I would sum up on that point and say Bulgari does things that others do not, we go where others don’t. I think sincerity, honesty are the key elements to reply to that question. Today we live in a very connected, digital world, things go fast. When I started journalism 25 years ago it was the empire of paper, today we have digital, everything goes fast, so you have to be as a brand, transparent, you have to be committed to honesty, reality and sincerity. You cannot anymore say anything about your identity, what you say thanks to digital, what you say must be matching with your reality. So, this is a big progress in terms of communication, but it’s a big challenge for us as well. So, for me key words are sincerity, honesty.